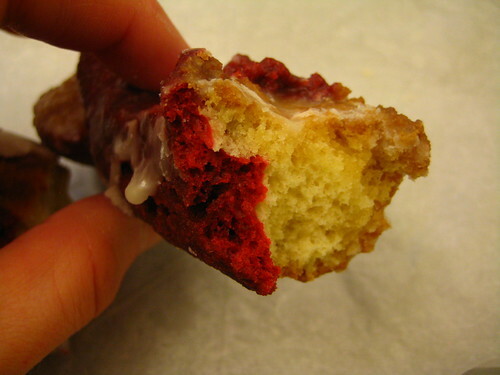 When Brownie and Lawman finally tried the Red Velvet Doughnut from Peter Pan, they didn't get the chance to try both of their red velvet specialties. 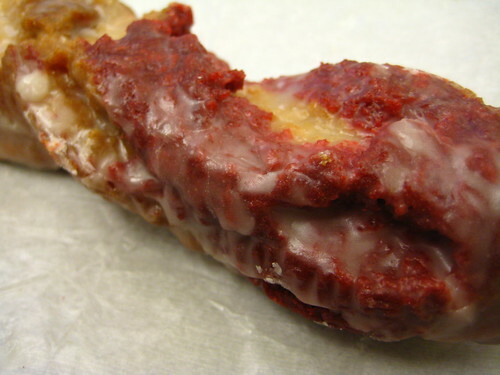 Because not only does Peter Pan make the doughnuts, they make red velvet crullers-the pièce de résistance in my hangover cure-all. Oh, Canada! Oh, Canada Doughnuts! !